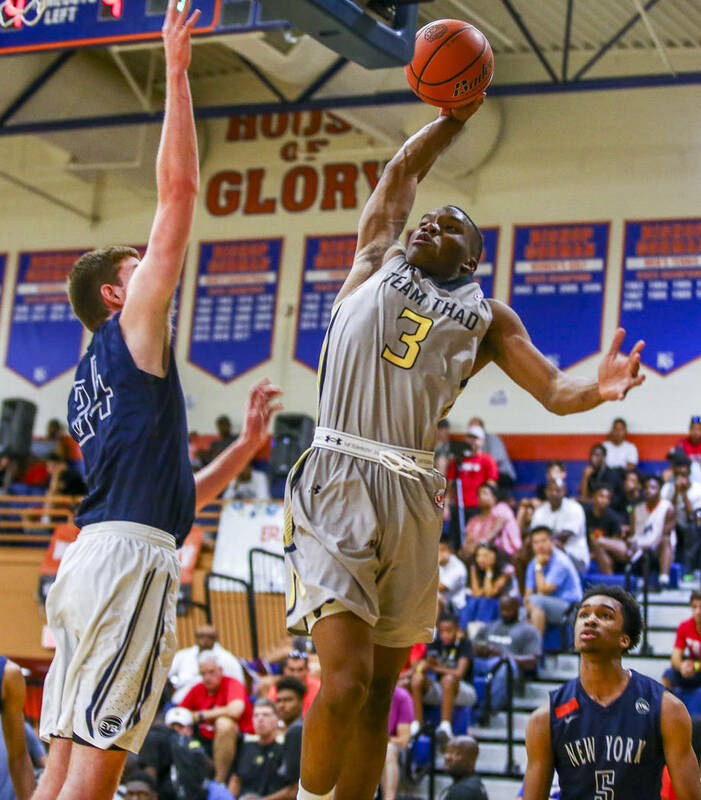 Tavin Lovan scored 23 points on Sunday afternoon to help Team Thad (Tennessee) to a 77-61 victory over NY Renaissance (New York) in the Invite Championship of the Fab 48 AAU tournament at Bishop Gorman High School. 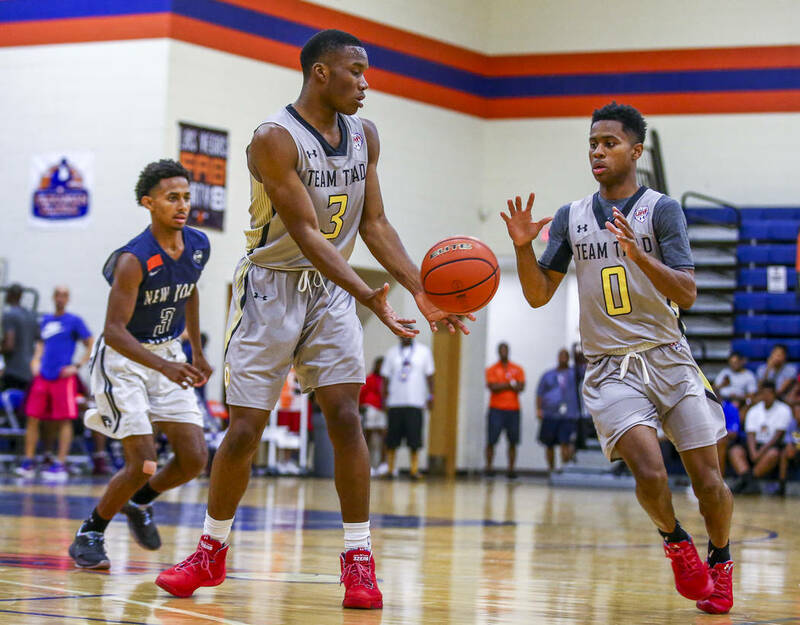 The national spotlight when it comes to Team Thad (Tennessee) typically shines on Robert Woodard. 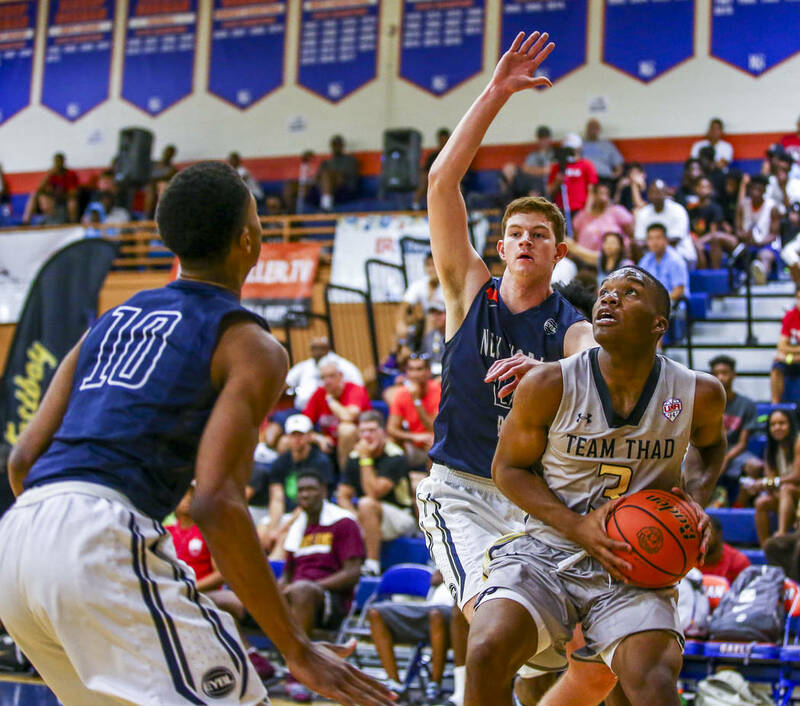 The uncommitted four-star forward is ranked No. 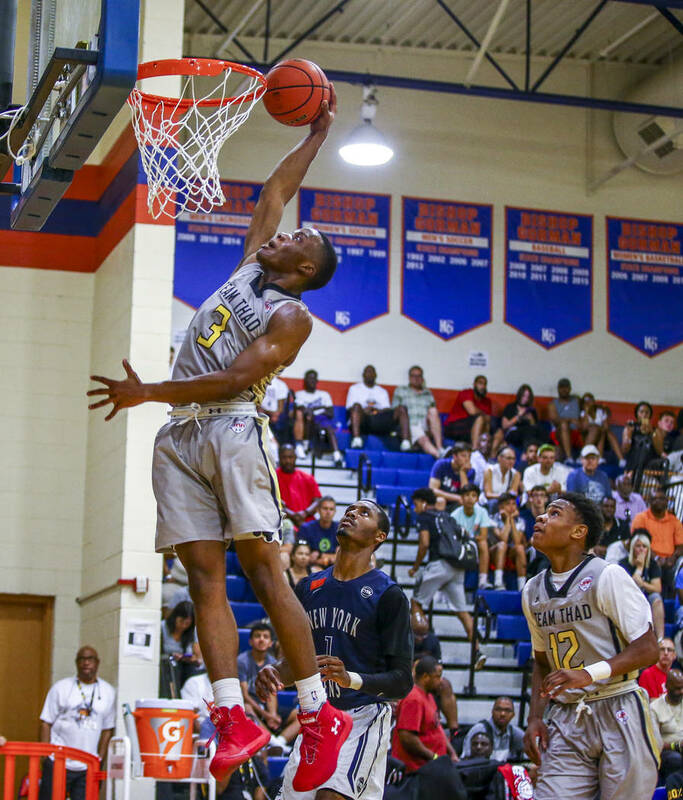 43 among ESPN’s top 100 prospects in the Class of 2018, and he helped his squad reach the final of the Fab 48. But after Sunday, it might start shining on Tavin Lovan. 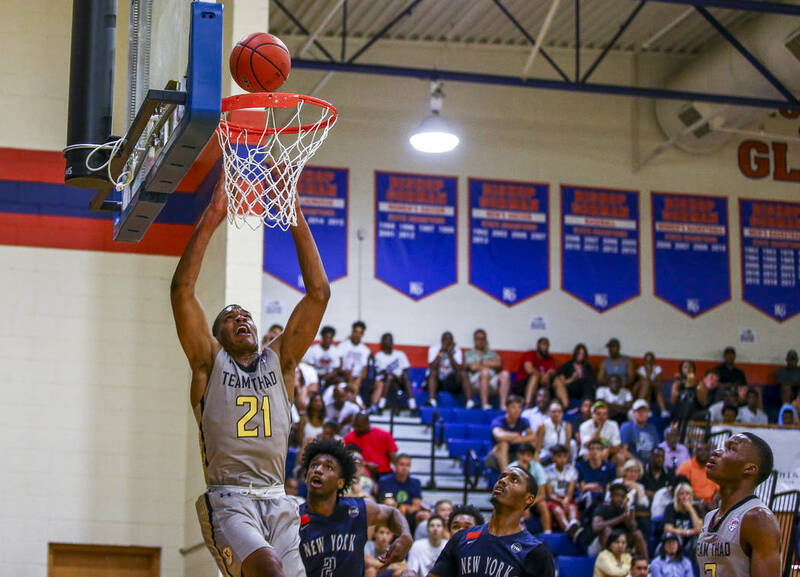 The 6-foot-4-inch Lovan scored 23 points and had four tremendous dunks, including one that put the game out of reach, to help Team Thad to a 77-61 victory over NY Renaissance (New York) in the Invite Championship of the Fab 48 at Bishop Gorman High School. 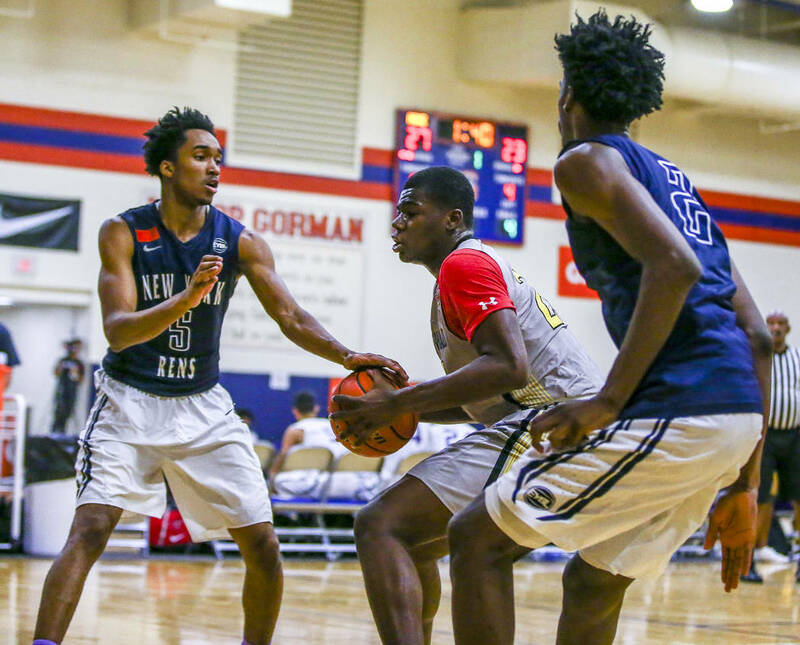 Lovan is the top-ranked player from Kentucky and has scholarship offers from Middle Tennessee State, Miami (Ohio) and Eastern Kentucky, among others. 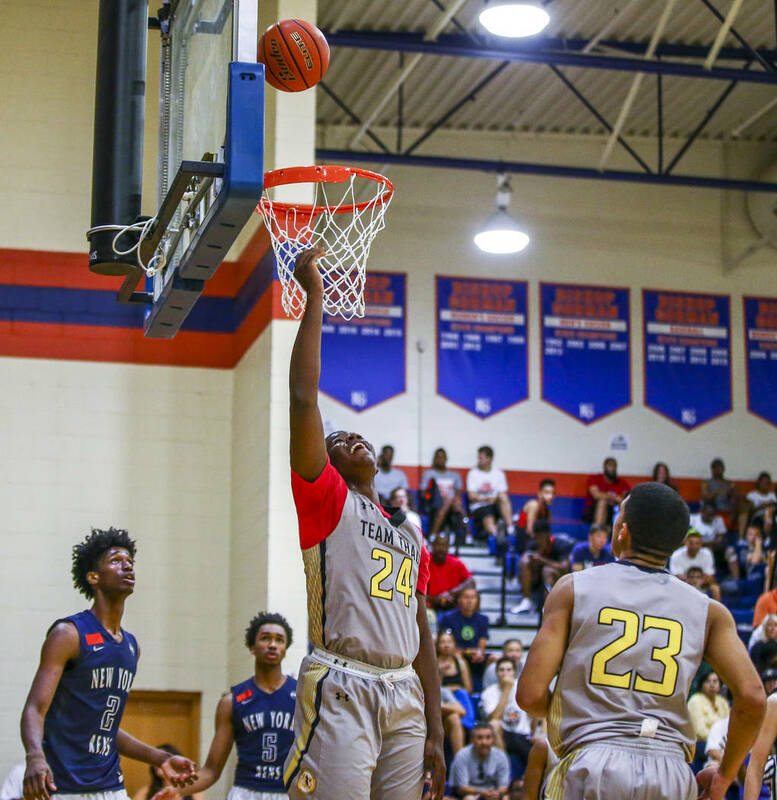 On Sunday, he might have boosted his recruiting stock, especially with 2:25 left in the game, when he threw down a jaw-dropping jam to put Team Thad up by 15 points. 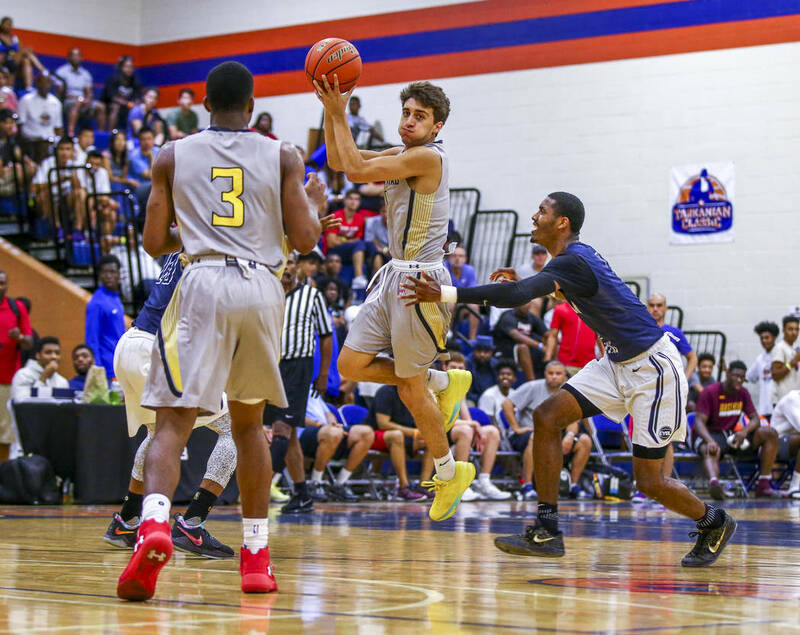 Woodward added 15 points, and teammate Tyler Harris picked up tournament MVP honors after posting 18. 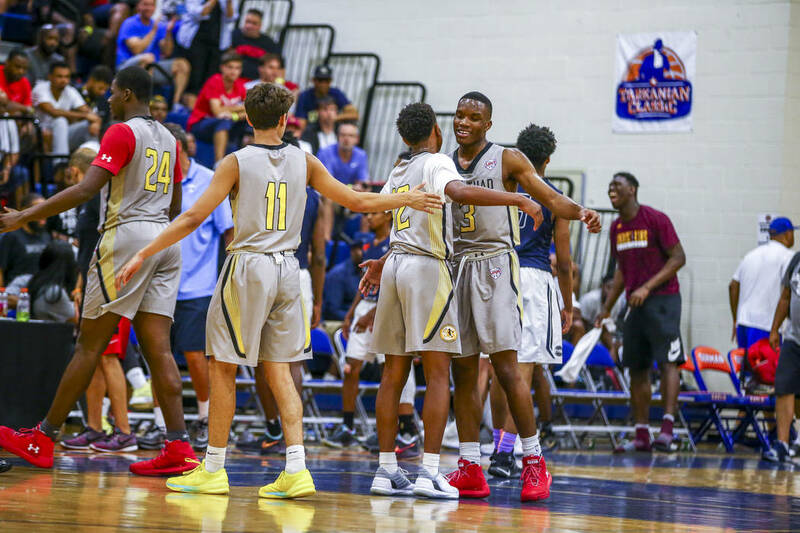 Team Loaded Virginia started the Adidas Summer Championships 1-2 in pool play and looked nothing like a team that would play in a tournament final. 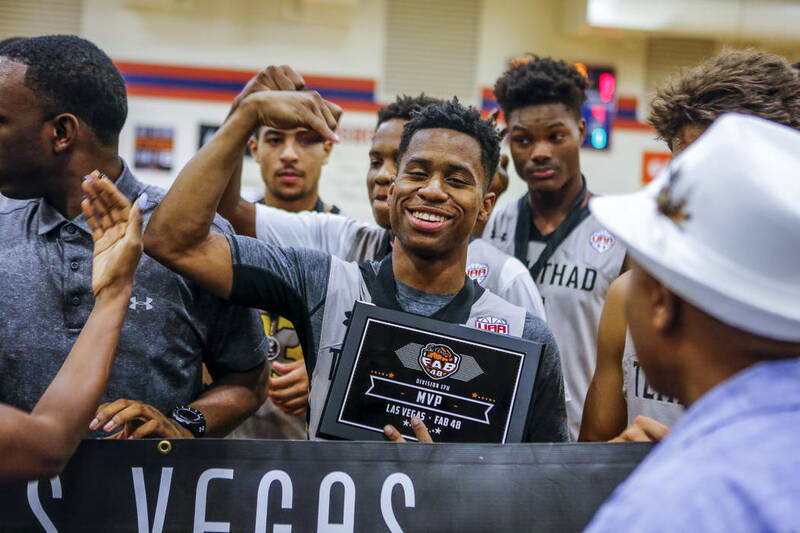 Kiyon Boyd corralled a rebound, took it coast-to-coast and scored on a transition layup for the go-ahead bucket with 30 seconds remaining, and Team Loaded held on for a 54-52 win over the New England Playaz (Massachusetts) in the championship game at Cashman Center. 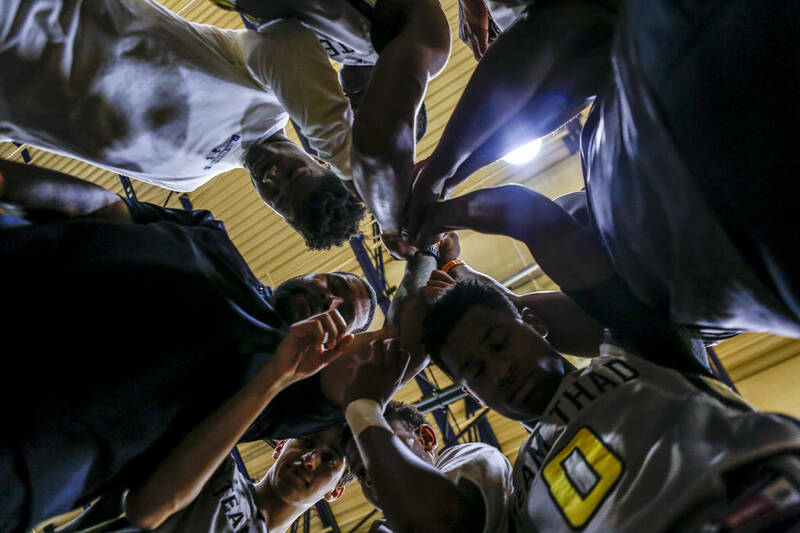 It was the team’s sixth consecutive win after falling twice in pool play, including a 12-point setback to the Playaz on Thursday. 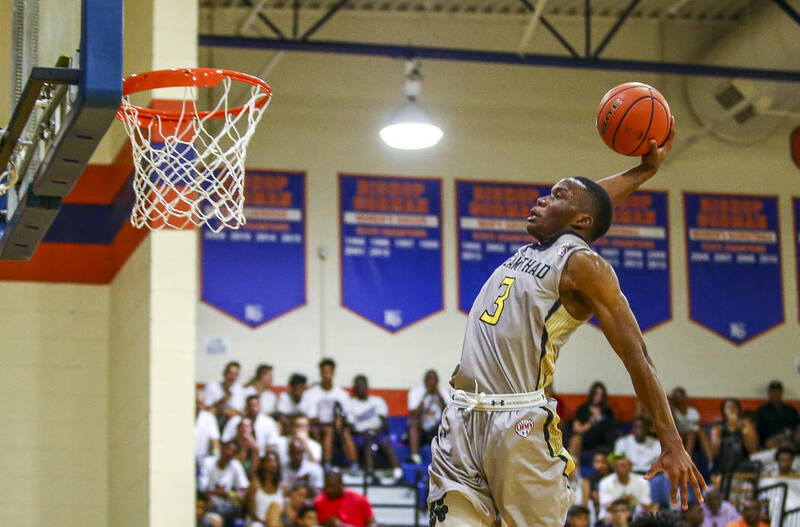 Boyd’s layup gave Team Loaded a 53-52 lead. 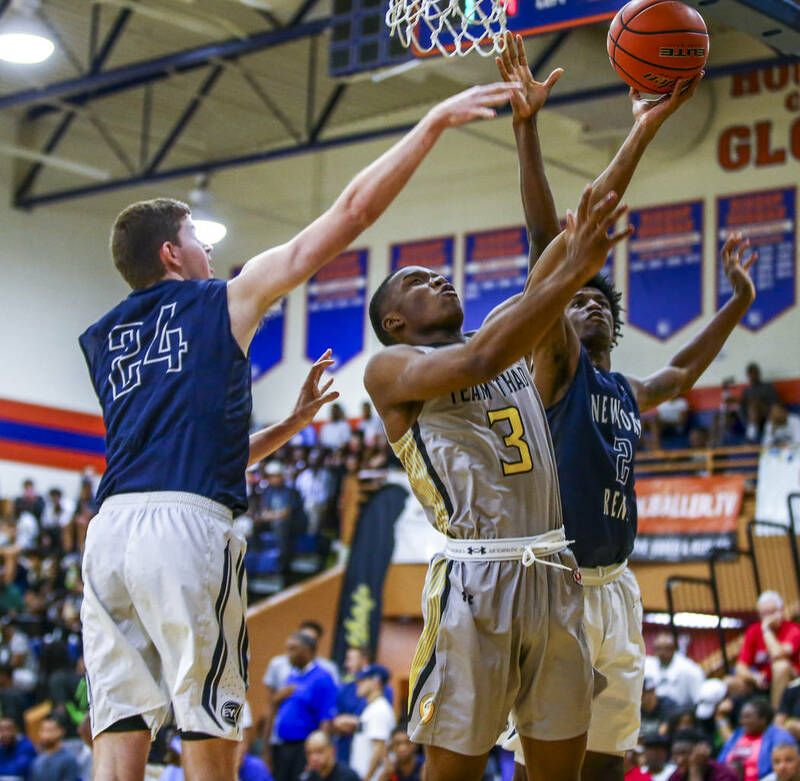 New England’s Ethan Wright missed a jumper from the free-throw line at the other end, and Team Loaded’s Jairus Hamilton got the rebound and was fouled with 4.6 seconds left. Hamilton, No. 41 in the ESPN 100, hit the first of two free throws. The Playaz pulled down the rebound but weren’t able to get a shot. 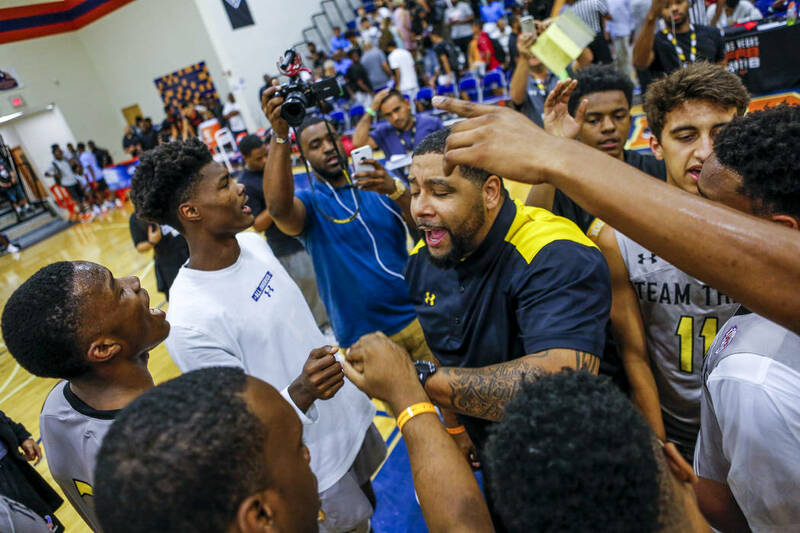 Boyd and Armando Bacot each scored 12 points for Team Loaded, while Christopher Doherty led the Playaz with 14 points and six rebounds. 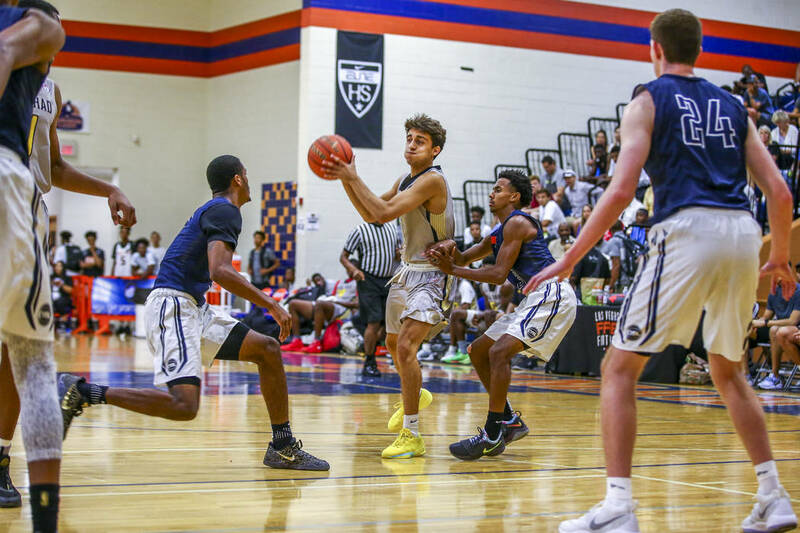 Three-star shooting guard Maka Ellis hit nine 3-pointers and finished with 31 points in Vegas Elite’s 82-70 win over Team John Wall (North Carolina) in bracket play of the Fab 48 at the Centennial Hills Community Center YMCA. 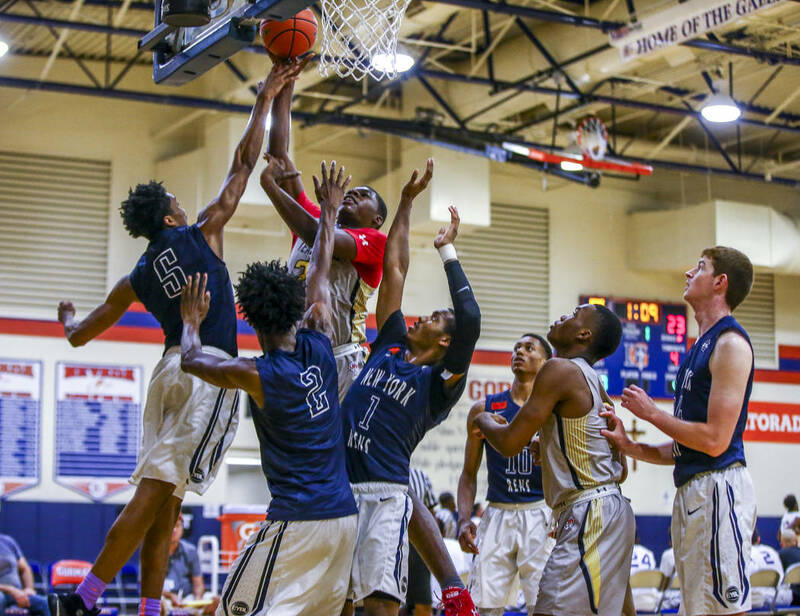 The 6-5 Ellis, who attends Sierra Vista High School and is uncommitted, has scholarship offers from Lehigh, New Mexico State, Rice, Santa Clara and Utah State. 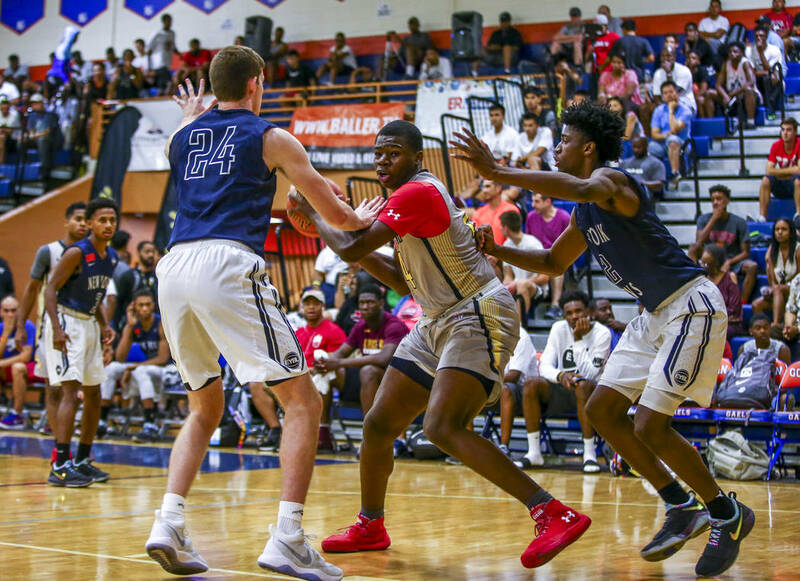 Vegas Elite defeated Pure Prep (Iowa) 77-62 later in the day, then lost 74-70 to Supreme Court (California) in the third-place bronze bracket final at Gorman. 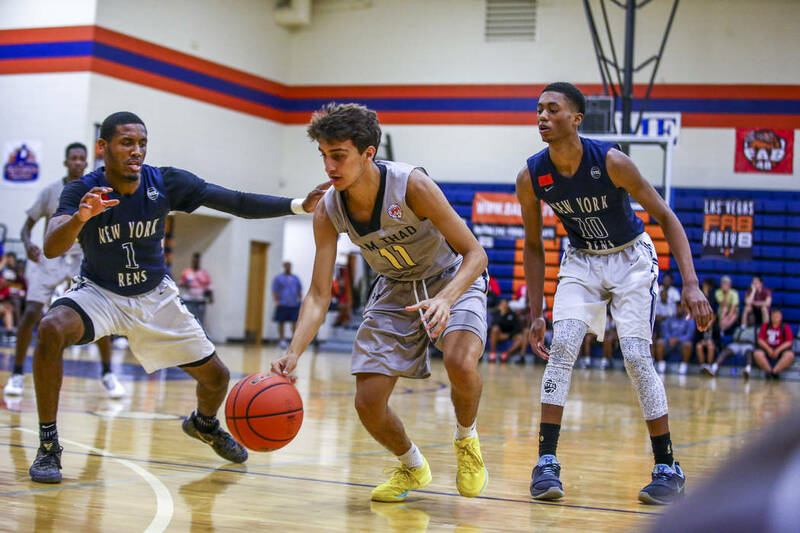 Indiana’s Archie Miller and Notre Dame’s Mike Brey sat courtside to watch New England Playaz 6-9 forward Nathan Laszewski, the nation’s No. 90 recruit, at Cashman Center. 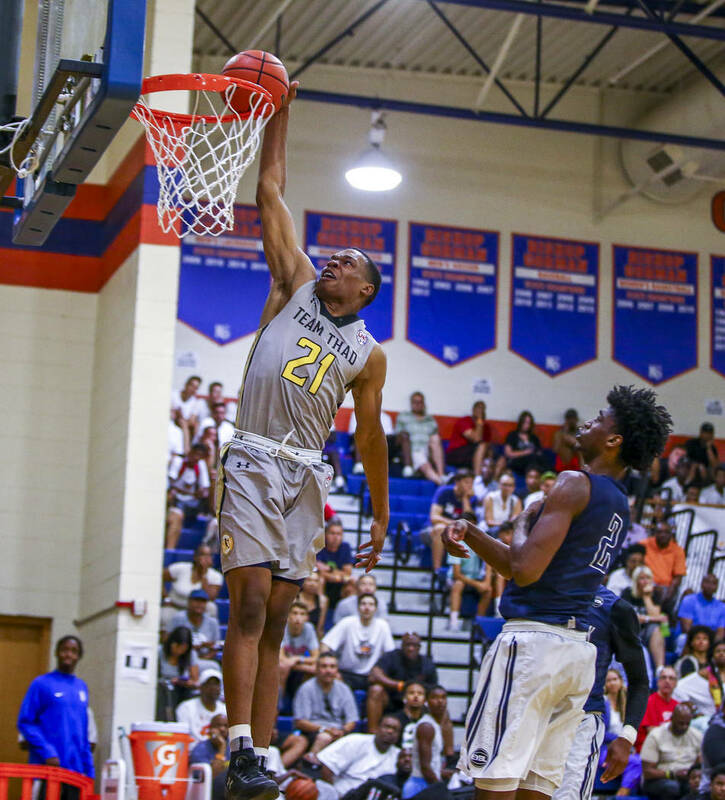 Both coaches have offered scholarships and are making a strong push for the four-star senior from Northfield, Massachusetts, who also has offers from Arizona, Pittsburgh, Texas, Villanova, Virginia, Wake Forest and Wisconsin. New York Knicks star forward Carmelo Anthony was spotted at the Fab 48.